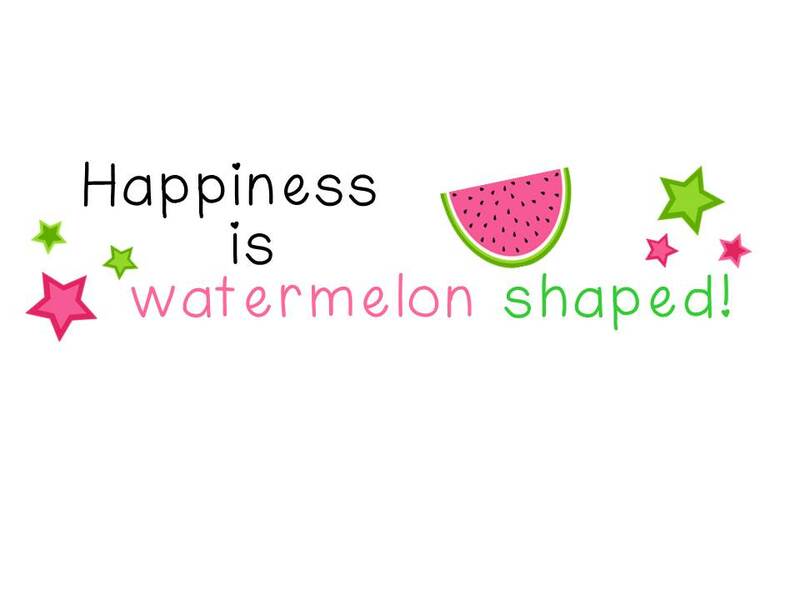 Fashionable Guest Blogger = Mrs. Cefali - HAPPINESS IS WATERMELON SHAPED! I found this very fun fashion link-up with Heather for Pinned It and Did It and Bri for Third Thursday Threads. Of course, the first person I thought of was Mrs. Cefali, our Resource Room teacher and a fashionista. She even agreed to guest blog! Now presenting Mrs. Cefali's fashion insights! If I wasn't a teacher, my second choice would definitely be a fashion designer. There is nothing I like more than putting together clothes into new and interesting outfits! Also - I love hunting for great SALES! Shopping may look easy - but it's not! You actually have to use math and self-questioning skills along the way. You must ask yourself many questions before buying something! First, when I'm shopping in my favorite stores, I look around. Does anything catch my eye? I look for color combinations that remind me of things I love, like summertime or the ocean. Second, I check the price tag. Is it a reasonable price? If it is too expensive, I might tell myself to wait a while and see if it goes on sale. I might save a little bit of money each week until I have saved up enough. Or maybe, I might decide it is something that I do not really need...Third, is it comfortable? Wearing things that are scratchy or rough is not ideal. You want to feel good in your clothes, don't you? Where can you find me shopping? Well, many of the outfits I wear to work at the Goodyear are from New York and Company in Burlington. I love it because they give special sales to teachers!!! How generous! I also like TJ Maxx. They also have great bargains! In my photo, the polka dot shirt I am wearing is something that when I first saw it, I decided that I should save my money. However, several weeks later, it went on sale. I was so surprised and excited! The pants I am wearing look like fancy dress pants, don't they? They are not though...can you keep a secret? They are actually "yoga dress pants"! They are soft and stretchy and are made to look like fancy pants (but they are not)! Like I said before, comfort is very important! Over the long weekend, I found a great bargain on a comfortable and unique blouse! What makes it so special is that it has silver bars across each shoulder. 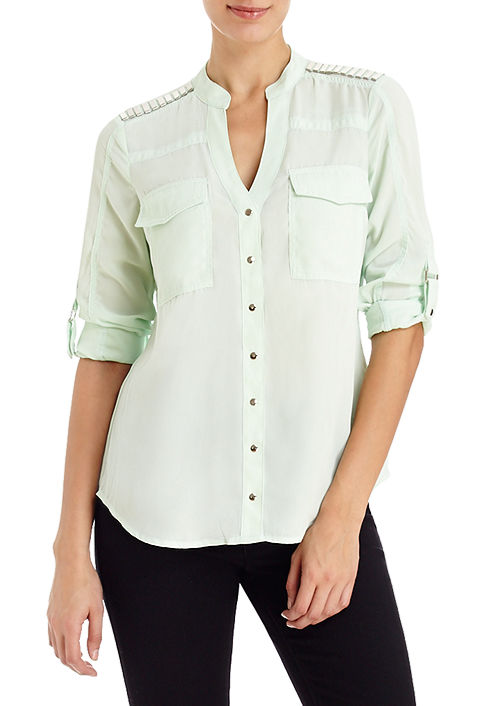 I liked it so much that I got it in TWO colors...Here it is in green (my favorite color of all)! Keep an eye out over the next couple of weeks and see if you can figure out what other color I chose. See if you can figure out my color fashion mystery! 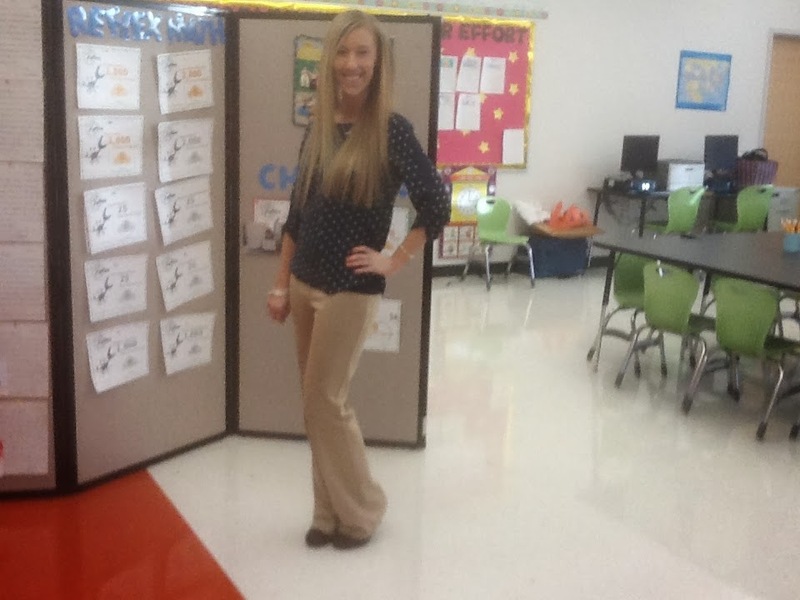 Thanks to Mrs. Cefali for her fashion advice and guest blogging! what a fun post! I too love New York & Co and there is a science to shopping. 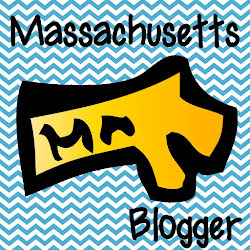 Thanks so much for linking up with Pinned It and Did It!